While the financial sector may not typically be first to respond to natural disasters, there are instances where businesses see a need in their community and leap to meet it. 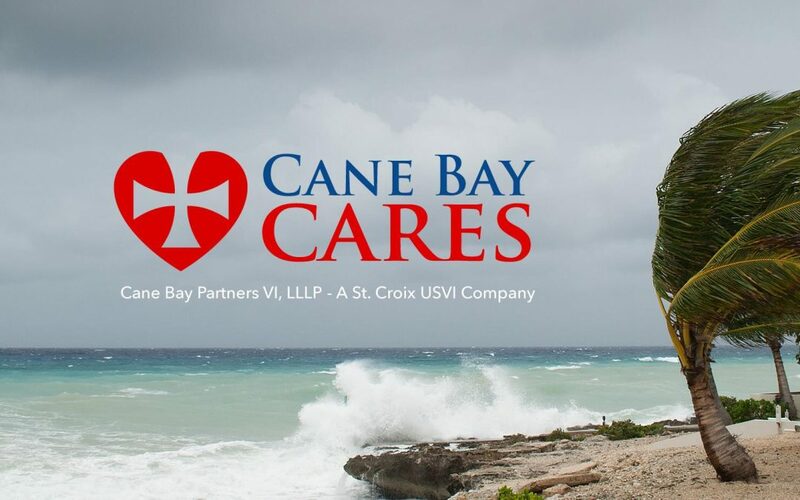 Cane Bay Partners’ response to the Hurricane Irma and Hurricane Maria, which devastated the U.S. Virgin Islands and St. Croix in September 2017, is a prime example of this sort of response. Michigan native Kirk M. Chewning and former Georgia resident David Johnson launched Cane Bay Partners in 2009. They are a financial services company specializing in risk management and are located in Christiansted on St. Croix in the U.S. Virgin Islands. Since 2009, the firm has grown into one of the most respected consulting businesses on the islands and beyond. The 2017 hurricane season is one of the most difficult challenges the business has encountered. While St. Croix was spared from the worst of Hurricane Irma, they were not so fortunate with Hurricane Maria. As Hurricane Maria advanced on the U.S. Virgin Islands, its outer eyewall crossed over St. Croix. Strong winds of 137 miles per hour tore across St. Croix, uprooting trees and tearing off roofs. The islands’ infrastructure was in ruins, and residents have been picking up the pieces ever since. To make matters worse, much of St. Croix, including Johnson and Chewning – was busy helping sister island St. Thomas and St. John and much of St. Croix’s resources had been depleted by the time Maria hit. Chewning and Johnson watched the damage of the storms and jumped into action. On September 29, Cane Bay Partners officially launched a massive fundraising charity called Cane Bay Cares. Partnering with the Community Foundation of the Virgin Islands, Cane Bay Cares is pledging to match the first $200,000 in donations to the fund. Cane Bay Cares has distributed more than 40 generators, thousands of water bottles, 75,000 pounds of food and supplies, 800 LUCI solar lights, 4,000 freezer packs to critical patients and other aid to in need residents of the U.S. Virgin Islands. Working with local organizations like the Boys and Girls Club, Foundation Ministries, My Brothers Table, Project Promise, the Botanical Garden, Zion Christian Academy, St. Croix Foundation and so many others, they have been able to quickly supply devastated areas with supplies and aid. In addition to the work that they have already done, Cane Bay Cares is committed to assisting with the long-term recovery of St. Croix. With many St. Croix residents initially without electricity, Cane Bay Cares was focused on bringing generators, clean drinking water, solar lights and food to the island. They also have brought other supplies like waterproof tarps and mosquito repellant. During the Thanksgiving holidays, the organization provided locals with clean water, food and turkeys. In late November, they jump-started a toy drive to provide Christmas treats for children affected by the hurricanes. Most recently, the distributed mold remediation kits to help address the ever-evolving needs of the island. With their community effort, Care Bay Partners has shown that business is much more than numbers; it is personal. The firm has raised over $145,000 for residents affected by the storm. Unlike big international charities, they are integrated closely into the community and will continue to lend a helping hand to residents in the coming days, weeks, and months.